Bali gets serious threat. 2016 Bali attacks given by ISIS through letters to the government office extremely disturbing residents. Because of the threat of attack was related to an act of terrorism and bomb. Bali bomb attacks in 2016 will take place from January to February. 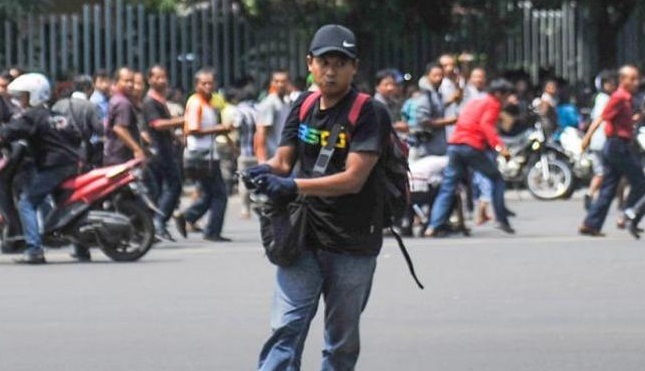 The threat was openly communicated through letters to government officials in Buleleng, also leaflets with the words that contain the targets of bomb attacks. Terrorist attacks in Bali have occurred in 2002 and 2005. The Bali attack was made completely collapsed and the impact on the economic crisis that is very long. Bomb attacks in 2002 and 2005 led to a lot of foreign tourists dead, as well as local people who are working. Bali attack that resulted in rounds of Bali's economy took a big hit. Massive layoffs by tourism businesses, bankrupt hotels, restaurants were closed, many people become unemployed and lose their jobs. The threat of attack by ISIS to Bali this year, 2016, taken seriously by the police and the national army. Police and army jointly maintain security by monitoring in crowded places, in the attraction of potentially bomb attacks. Police raided the entire vehicle, car, motorcycle, truck passing in the path of national trade, Jalan Raya Denpasar-Gilimanuk. Throughout the day, day and night always looks police guard in crowded centers in Bali. Kuta in particular, as the center of tourism in Bali, as well as an international city, a gathering place for people from different countries. See also: Terror bombings in Bali have begun, given the terror letter to government officials. The threat of terrorist attacks through the mail by ISIS has been circulating on the Internet. The world has been aware of the threat. It has an impact on the number of tourist arrivals to Bali continues to decrease. In addition, the open threats ole ISIS also led to warnings of countries to be careful while in Bali. Everyone has been aware of the threat, causing unrest everywhere, not only in Bali also in countries that become large accounts for tourists visiting Bali.